Always the purveyor of the most exclusive listings on the prime Hawaii destination, Luxury Big Island by Harold Clarke proudly offers a 16,455-acre property featuring six miles along the island’s southwestern coast. 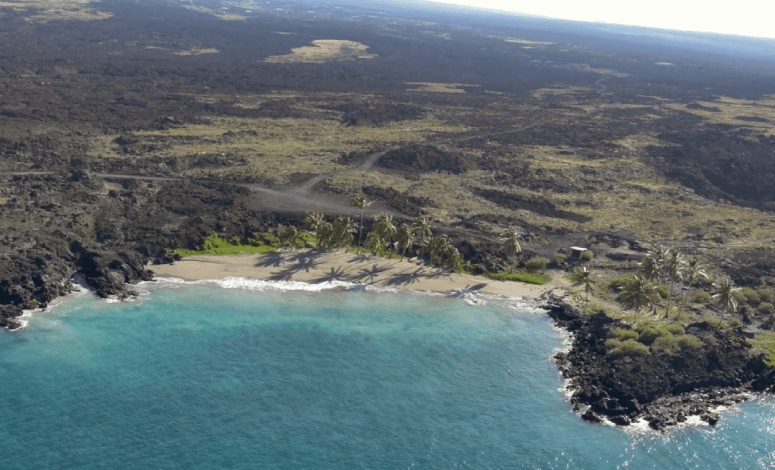 Currently the largest piece of land for sale across the state, the secluded gem has a price tag of $18 million – a worthy price to pay for the lush greenery, white-sand beach, and once-in-a-lifetime oasis found south of the Ka’ū Forest Reserve and the Mauna Loa volcano. “People come to Hawaii for several reasons: the beauty of the environment, the slower pace of life, the ability to be in your own world, the rich history,” says Harold Clarke in a recent statement announcing the listing. The listing, Harold Clarke reveals, offers all these and more for a “true sanctuary” right in the most bankable luxury island destination today. With six miles of Pacific Ocean frontage, for instance, the site’s crowning jewel is Pohue Bay, which boasts of pristine white sand, crystal blue water, palm trees and a wonderful distance from the highway for one’s desired privacy. Rich marine ecosystem. The rare, endangered hawksbill turtle nests on the famed Pohue Bay. Ancient cave drawings or petroglyphs. The rock carvings offer an intimate glimpse of Hawaii’s early inhabitants, all well-preserved for the future. Topnotch resort amenities ranging from world-class championship golf courses and dining pavilions to watersport facilities such as diving and snorkeling. Tagging it as among the most unique pieces he has seen in his longstanding career as a trusted luxury property expert, Harold Clarke lauds the property as a “rare chance” for prospective homeowners to possess a coveted section in the very heart of the Big Island. Prospective buyers can contact Harold Clarke at (808) 443-1320 or Harold@LuxuryBigIsland.com to get further information, schedule a property tour, or submit an offer.